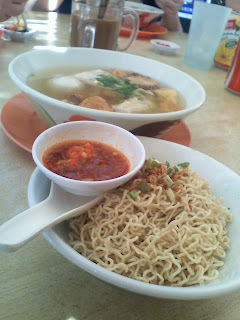 Craving for the Tomato Fish Soup @ Top 10, Jalan Song on Sunday morning and there we went. The fish ball and fish cake are so springy!!! You got to try!!! RM5.50 per bowl for the smallest size but it's enough and worth! 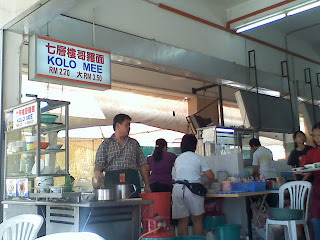 Nice kolo mee stall as well. 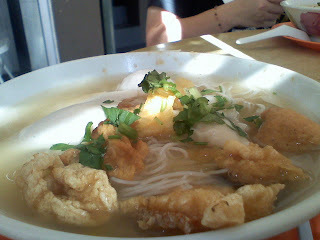 Tomato Fish Soup with Tan Hoon... look best. 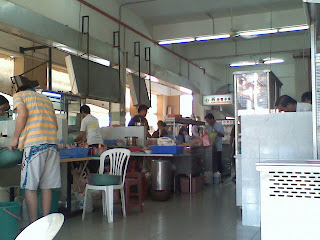 want to eat so much~~ why sibu dont have?? ?